Ideally located within easy walking distance to beautiful downtown Qualicum Beach, these lots within the new master planned community of Claymore Landing in Qualicum Beach are set to sell fast. Claymore Landing is a new and exciting residential development in Qualicum Beach. The 28 new residences are set against nature with a contemporary, rustic style. The Claymore Landing neighbourhood is perfect for outdoor enthusiasts with multitudes of amazing trails and beaches. There are building plans available for a quality custom home. All within the comfortable and relaxed lifestyle of Qualicum Beach. Attractive features include a new multi use path to downtown, LED streetlighting, neighbourhood pubs and shops, living only steps to the beach, and being completely surrounded by nature with numerous trails, rivers, golf courses, and beaches in the area. 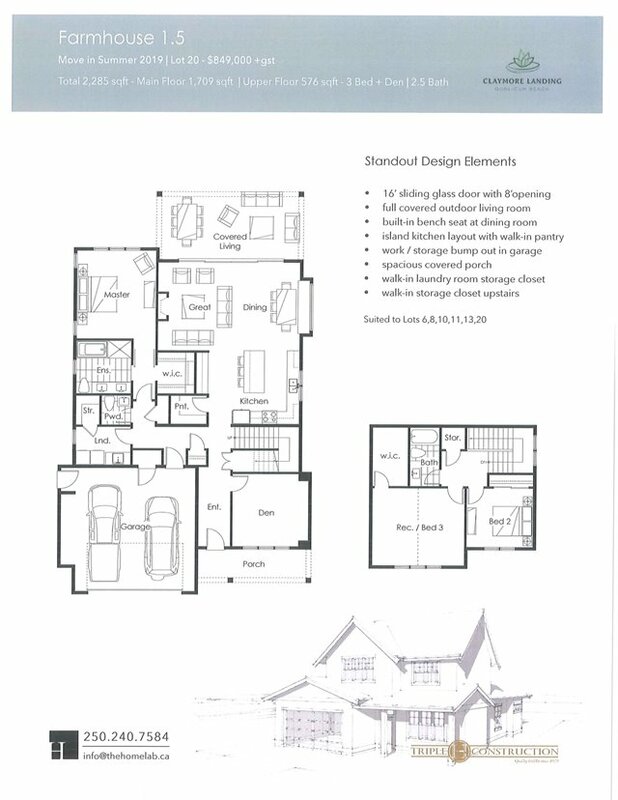 For more information on building the home of your dreams in Claymore Landing contact Rob at 250-248-8942 today!